Now that Florida has banned Greyhound racing, many Greyhounds are left without anywhere to turn. Because the dogs cannot race, many owners see no point or profit in keeping them. This has caused a massive influx of displaced dogs, many of whom have spent their lives as tools, not pets. This is an issue, especially when we consider the size of the racing industry and how misunderstood Greyhounds are as a breed. Many people don’t want Greyhounds and prefer “easier” breeds like Golden Retrievers, Pugs, or Labradors. While Greyhounds, especially retired racers, require a different perspective and care, they’re still dogs who need homes. Also, Greyhounds might not be as difficult to own and train as you might think. Most are content with one good walk or run each day, then spend the rest of their time as couch potatoes. Luckily, there’s a strong network in place to help these pups. 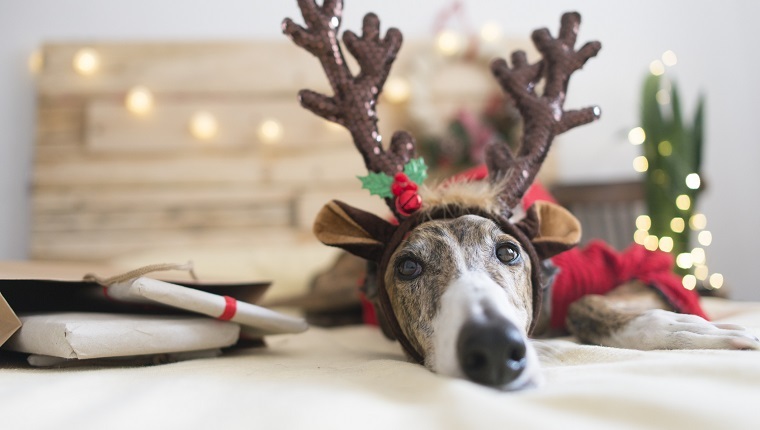 According to the Huffington Post, Greyhound adoption agencies aren’t going to loosen their screening process, but they still want to find reliable homes for all of these dogs. However, there is some concern about how they’ll re-home this many hounds. If you’re interested in helping out, your support is always appreciated. You don’t have to adopt a Greyhound in order to lessen the load–volunteering, fostering, and simple donations go a long way. There are Greyhound agencies in just about every state, and they all work together to support these dogs. You don’t have to live in Florida to lend a hand; just look online for Greyhound rescue organizations in your area. Some of them might have websites with online donation systems in place, so you can support them with a few clicks. If you can’t afford a big donation, don’t worry. Even a few dollars will go towards feeding, transporting, and caring for the Greyhounds. Many people feel guilty about donating small amounts, so they avoid donating all together. This does more harm than good. If 50 people don’t give any money all because they’d feel embarrassed about their $1 to $5 donation, then that means $50 to $250 goes un-donated. Even sharing this article on Facebook or links to Greyhound rescues will help get the word out. That’s a nice, easy way to help without even having to spend any money! If you’re ready to take the plunge, or just curious about the process, good for you! Many people who have owned Greyhounds swear by the breed and say they’re an acquired taste that you keep forever. Because of the Greyhound network, you don’t have to live in Florida to adopt a Greyhound. If you can’t go pick them up yourself, the agency might work to arrange a transport for you. 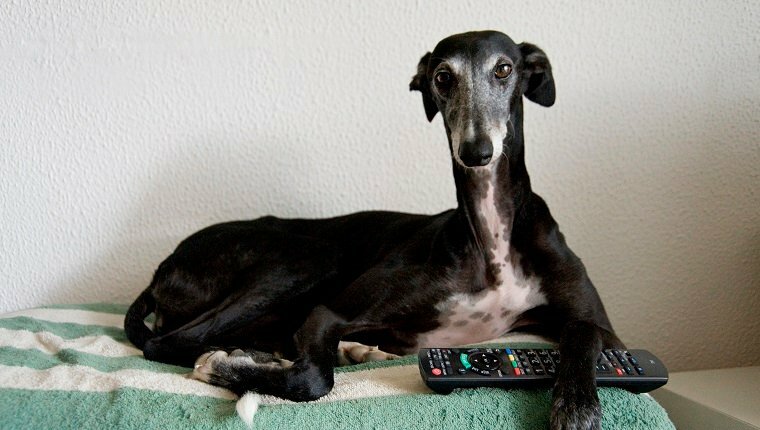 While the phrase “screening process” sounds a little intense, it’s just to make sure that you have the necessary environment for a retired racer. GREY2k USA is a non-profit organization that helps Greyhounds across the United States and around the world. They have a list of trusted Greyhound adoption agencies sorted by state and country. That’s a great place to start if you’re interested in adopting. You can also check DogTime’s adoption page that lets you search for adoptable dogs by breed and zip code. What Should You Know About Greyhounds? Contrary to popular belief, Greyhounds don’t need a lot of land or space. They’re considered one of the best apartment breeds, and their high metabolism allows them to burn off energy quickly. While many people think that Greyhounds need to run, this isn’t quite true. They’re happy taking a walk or two, then lying down for a nap. However, there are some things you should know before adopting a Greyhound. Some have been bred and trained to have high “prey-drives,” which means they might not get along with cats or other small pets. This is not true for all of them, though, so talk to your adoption agency about cat-friendly Greyhounds. It’s also important to note that Greyhounds are not off-leash dogs. Their speed, attention span, and lack of road-sense make them very high-risk dogs when it comes to streets and cars. If you unleash them, there’s a chance they’ll run off and get lost. They are faster than you, and you might not catch them in time. While greyhounds do have their quirks, they’re still great dogs. It’s a common misconception that they’re not affectionate or don’t make good companions due to their racing history. Like all dogs, Greyhounds are loyal pets with lots of love, and retired racers will appreciate the chance to live peaceful lives. Do you own a Greyhound? What’s it like? Share your stories below, and tell us what you would say to any potential adopter.